Gallup Police Department is conducting area DWI Checkpoint and Saturation patrol within the City limits of Gallup, partaking in the Superblitz campaign in partnership with Safer NM on DWI prevention for the Month of January 2019. Noon-4 pm @ Children’s Branch, 200 W. Aztec Ave. Drop in anytime! Unwind from a busy week with video games and fun for the whole family. A rally gathering at the Gallup Cultural Center, 201 E. Highway 66 beginning at noon until all speakers have their say. From there, the March will proceed to the McKinley County Courthouse Square. This joins the Indigenous Peoples March in Washington, D.C. on the same day. Please wear comfortable and warm clothing. Rain, snow or shine there will be no cancellation. How to help and INFO: (505) 567-8561. 4-5 pm. January topic: Introduction to the New Mexico Rainforest University Center Program and Meet the Mentor, Sandra Begay. UNM-Gallup, Dean’s Conference Room Calivin Hall Room 119. Visit: www.meetthementorunmg.eventbrite.com. 11-11:30 am @ Children’s Branch. An active and energetic program for toddlers, featuring music, movement, rhymes, and stories. Every Wednesday at 10:30 am and Saturday at 11 am. This program is intended for children ages 2 – 4 years old. Jan. 19, 11 am: A one-day event to test muscular strength and endurance. The event includes three lifts: squat, deadlift, bench for repetitions per percentage of bodyweight (50%, 65%, 85%). Open to Fort Defiance Service Unit Area adults that are 18 years old and older. Registration closed Dec. 31. Fort Defiance, Ariz. 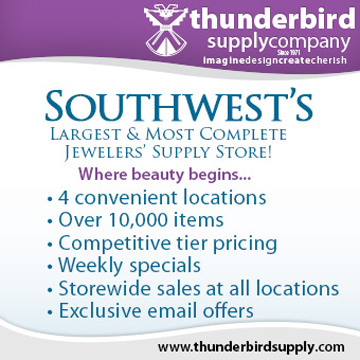 Call (928) 729-8156. 4-5 pm @ Children’s Branch: We’re going around the world in December with MakerZone! Join us every week for architecture and engineering projects based on famous landmarks from around the world and get stamps in your STEM Passport! Stop by the Children’s Branch for your passport today. 10:30-11 am @ Children’s Branch. An active and energetic program for toddlers, featuring music, movement, rhymes, and stories. Every Wednesday at 10:30 am and Saturday at 11 am. This program is intended for children ages 2 – 4 years old. 4-4:30 pm @ Children’s Branch. Children with sensory processing disorders and their caregivers are welcome to joins us for a Sensory Story times today and Saturday Jan. 26. Sessions will be limited to 8 children and their caregivers. Window Rock AA Group meets at Fellowship Hall WR Christian Center across from N.N. Fairgrounds/Wellness Center, Hwy 264, Mondays at 5:45 pm. Closed Speaker Meeting, limited to persons who have a desire to stop drinking. We cannot accommodate children. No attendance forms, smartphones. Visit aa-fc.org for more info. A Christ-centered recovery program that will help you heal from the pain of your un-managed hurts, habits and hang-ups. Tuesday, 6-8 pm. Journey Church, 501 S. Third St. (505) 979-0511. 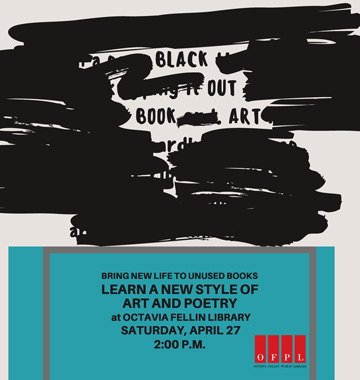 Meets on the first Monday from 3:30-5 pm at the Octavia Fellin Library. Community members concerned about environmental issues are welcome. 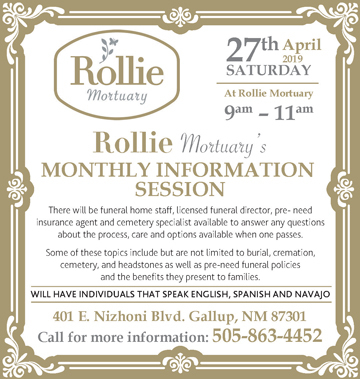 Call (505) 722-0039 for information. Meets Wednesday, 6-7 pm, at First United Methodist Church, 1800 Redrock Dr. (in the library). All are welcome. The Hope Garden offers organic produce for sale from 10 am-4 pm, Tuesday through Friday, 1130 E. Hassler Valley Road. All funds go to helping feed local folks. 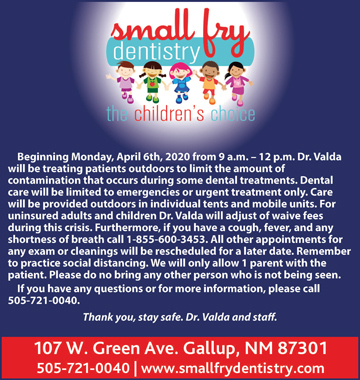 Call (505) 726-8068 or when visiting, ask for Vernon Garcia. Gallup’s longest-running live show! Every Friday night from 7-9 pm. Camille’s Sidewalk Cafe, 306 S. Second St.
Gallup Solar is hosting community classes and presentations about all things solar Wednesdays from 6 to 8 pm at 113 E. Logan. Call (505) 728-9246 for info. Habitat for Humanity work sessions held each week. Volunteers to serve on decision making meetings or wish to volunteer at or help fund construction projects. Call Bill Bright at (505) 722-4226. McKinley County Health Alliance convenes on the second Wednesday of the month from 11 am-1 pm at the New Mexico Cancer Center across from UNM-Gallup. Everyone is welcome to attend and engage in discussions about health, education, economic, and environmental inequities and to help facilitate change in those systems. Call (505) 906-2671. Overeaters Anonymous 12-step meetings. Held every Saturday at 10 am. The First Methodist Church, 1800 Red Rock Drive. Open to anybody who has a desire to stop compulsive eating. Contact info. 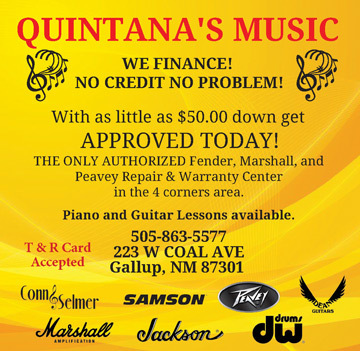 (505) 307-5999, (505) 721-9208, or (505) 870-1483. McKinley Citizens Recycling Council is a local nonprofit working to increase recycling through education, community outreach, and partnership with local government agencies. MCRC meets the first Saturday of the month at 2 pm, at Red Mesa on Hill Street. For more information, call (505) 722-5142 or visit www.recylegallup.org. The Recycling Depot will now be open from noon-1:30 pm on the first Saturdays of the month. Educators and artists are encouraged to come by and see what’s available. Volunteers will accept some items, such as paper towels and toilet paper rolls. This is a free service of the McKinley Citizen’s Recycling Council. Call (505) 722-5152. Jan. 24, 6-9 pm @ ART123 Gallery, Have a creative night out! Register at www.galluparts.org/wine-and-painting. Premiers Jan. 29, 6-8 pm, and monthly on fourth Tuesdays. Take a stroll on gallery row. Get up close and personal with local art and artists. Check out art shows, artist demonstrations and artist talks at opo Gallery, Free Spirit Gallery, ART123 Gallery, LOOM Gallery and Camille’s Sidewalk Cafe. 2nd Street from Hill to Coal in downtown Gallup. 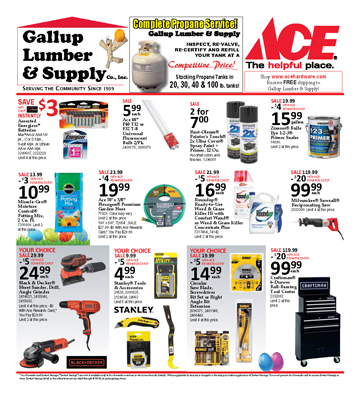 Visit: www.galluparts.org/2ndlook. Feb. 9 from 6:30-8:30 pm @ ART123 Gallery, 123 W Coal Ave. Twenty-eight artists challenged themselves to make 15 paintings in 30 days! Over 400 artworks! For more information, visit @ART123Gallery on Facebook.